All Power Labs is devoted to the continual improvement and expansion of our Carbon-Negative product line. Extensive work is currently underway to release a new and exciting product: the Powertainer, read more about them below and contact us to receive updates about their availability. PLEASE NOTE: this product is not for sale at this time. Expected first deliveries in Q4 2018. 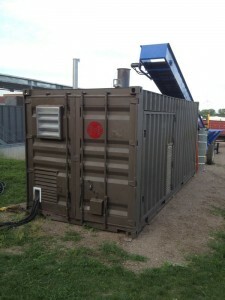 ALL Power Labs is developing a 150kW shipping container based gasification-genset system. 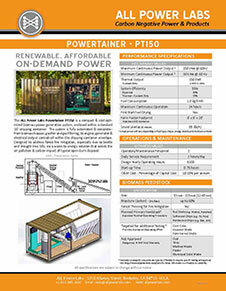 It will have a similar ease of transportation and onsite setup as our 20 kW Power Pallet. Based on the Powertainer prototype APL developed in 2012 in partnership with US Dept. of Energy, University of Minnesota, Morris, Cummins Power, and the Diesel Research Lab of U of Minnesota, Twin Cities, the PT150 is expected to be availble as a commercial product in late 2018, with beta prototype demonstrations later in 2016. Initial development of the PT150 has been via a $2M grant APL won in February 2015 from the California Energy Commission to finalize design of a 150 kW Powertainer in a 20′ shipping container. We are now seeking a limited number of beta stage partners in California that might be interested in pilot systems during our development process. For more information, see the Powertainer page. Or Download the fact sheet here. A fully enclosed, regulation-compliant version of the Power Pallet, with optional Combined Heat and Power (CHP). Why it’s different: The goal with the new machine is to offer a compact and fully automated biomass power and heat (CHP) solution for on-grid European and North American regulated markets, and to do so at 1/2 the price point of comparables on the market. 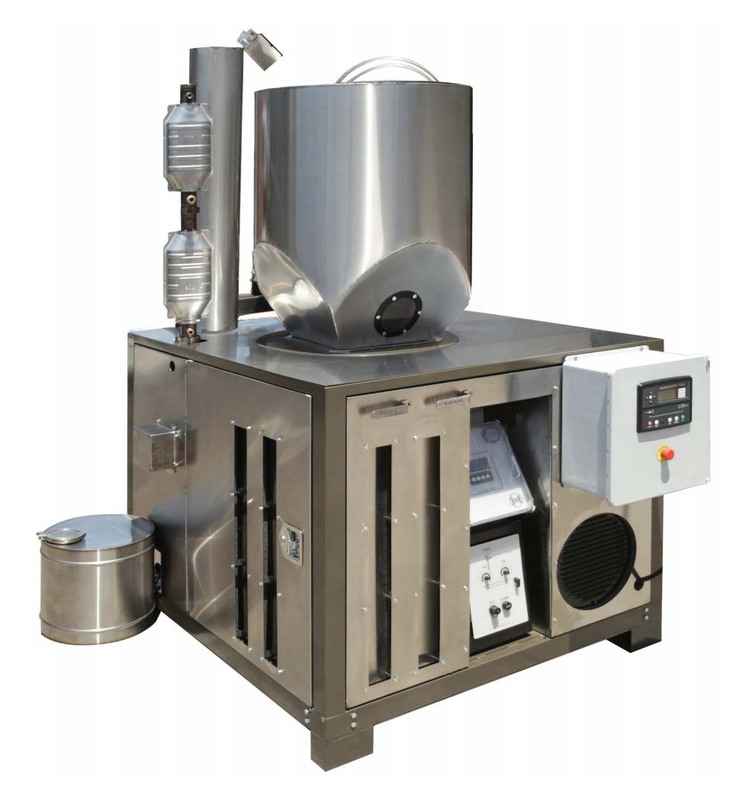 New features include: sound attenuated enclosure, onboard grid tie, automated airlock and fuel level sensing for continuous fuel feed, catalyst exhaust system to meet premium emission standards (<200 mg/m3 CO, <650 mg/m3 NOx; @ 5% O2). Optional CHP using both radiator and exhaust heat. 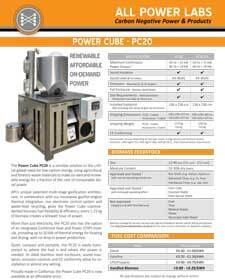 PC 20 Power Cube, For more information, see the Power Cube page. Or Download the fact sheet.